A continuation of Aydemir’s interest in the icons and tropes of Western hair and beauty culture applied to the figure of the veiled woman. 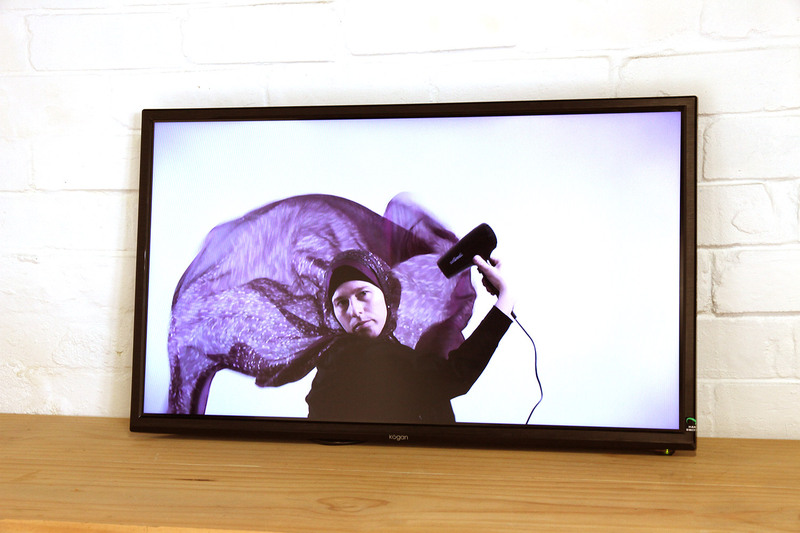 Cigdem Aydemir is a Sydney-based artist working in the mediums of installation, performance and video art. Her socially and politically engaged art practice investigates possibilities for intersubjective and transcultural communication with an interest in post-colonial and feminist issues.